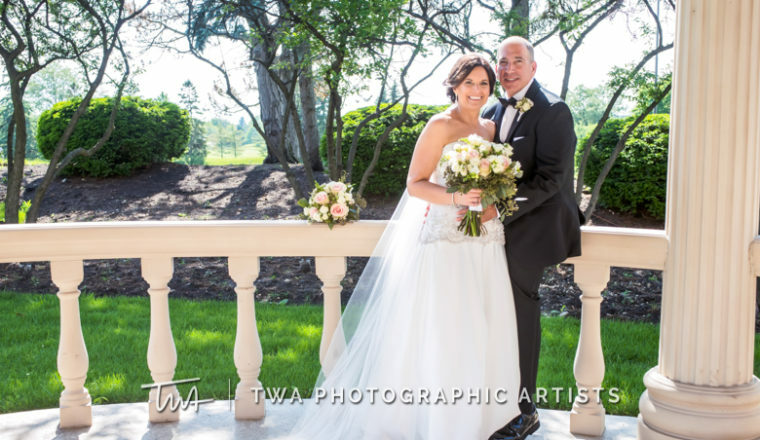 The Drake Oakbrook Hotel was the setting for Karen and Vince’s perfect June wedding and reception! Karen’s bouquet featured blush roses, white spray roses, white wax flowers, freesia and seeded eucalyptus. The lush round centerpieces were placed on top our beautiful crystal stands. They featured hydrangeas, oriental lilies, blush roses, peach stock with a touch of white was flower. An arrangement on the kings table featured the same flowers. The cake was also decorated with fresh flowers featuring blush roses, green lisianthus and seeded eucalyptus. Thank you to Timothy Whaley & Associates for capturing the day!